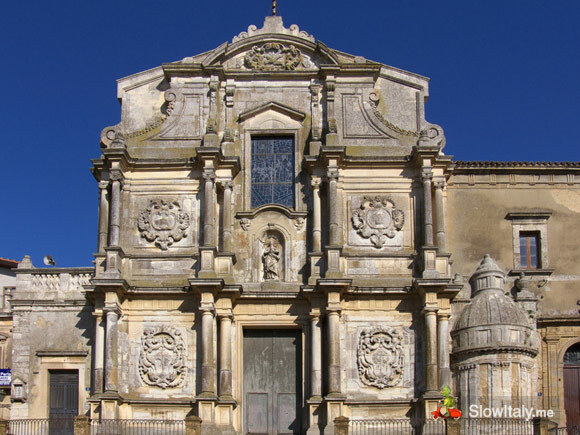 Caltagirone is one of the eight towns of south-eastern Sicily known as the baroque towns of the Val di Noto, which were almost entirely destroyed and rebuilt after the earthquake of 1693 and classified as a UNESCO world heritage site. 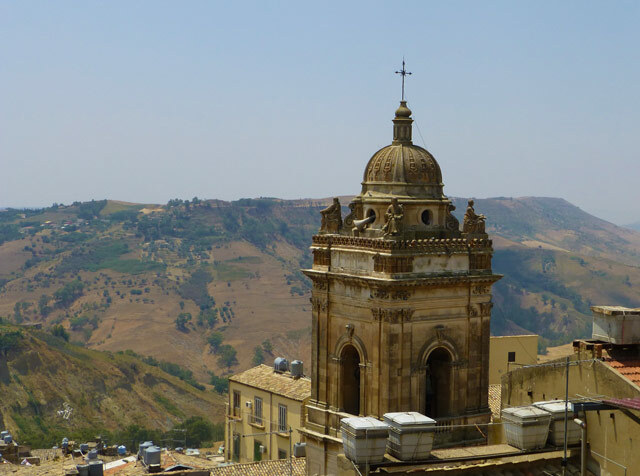 Bell tower of Church San Giacomo, Caltagirone. 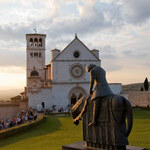 Detail of the Bell tower of Church San Giacomo. Photo by Carlo Manni. 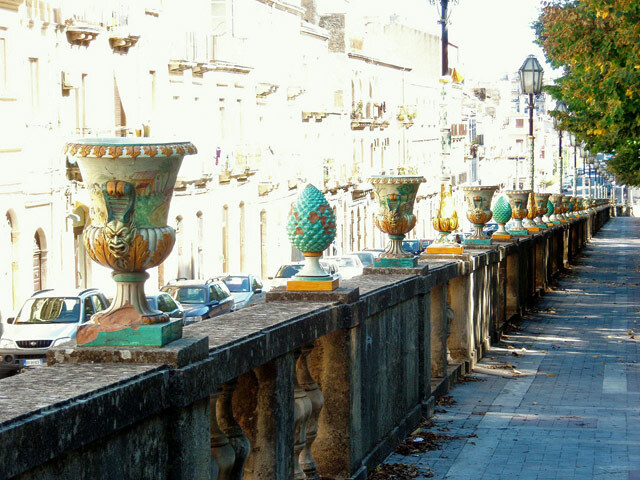 The town of Caltagirone stands out for its unusual link between the pre- and post-1693 periods and for its ceramic production. 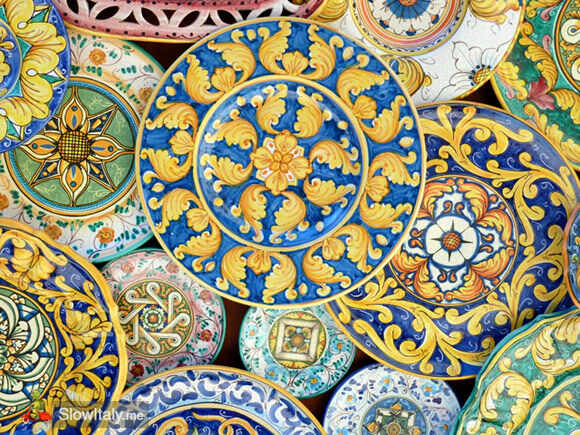 Ceramic production in Caltagirone is a millenium old tradition making the town one of the most important ceramic production centers of Sicily, renowned in the entire Mediterranean. 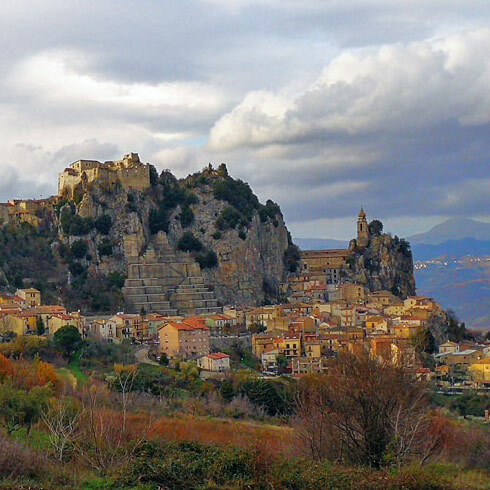 While the ceramic tradition dates to prehistorical times, the name of the town itself is believed to derive form the Arabic word qal’at-al-ghiran, meaning “Castle (or fortress) of vases”. 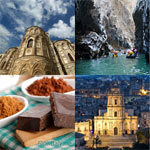 The local ceramic technique was influenced and perfected by the Cretans, who introduced the wheel during the Greek colonization of Sicily in the 8th century BC, then by the Arabs, who introduced the glazing technique, which rendered the ceramic objects impermeable to water, in the 9th century. 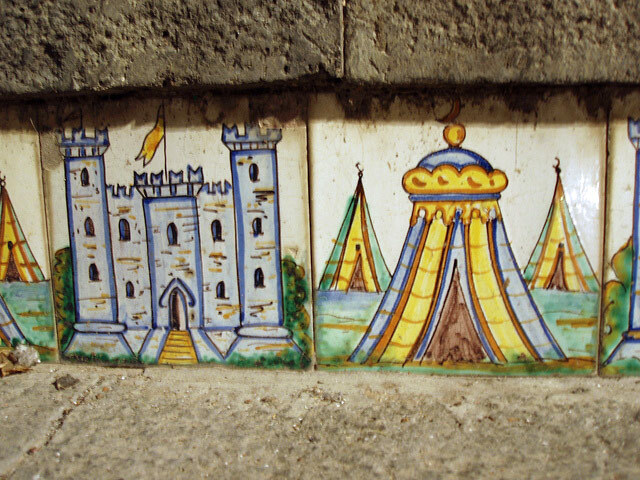 The ceramic tradition is visible in every part of the town, not only in its numerous shops selling ceramics and maiolica, but also throughout the city’s architecture, balustrades, vases, and other decorative ceramic features enhancing the streets of the baroque town, the most famous landmark being the magnificent stairs, Santa Maria del Monte in the center of town. 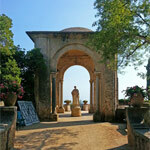 Built in 1606, the amazing stairs Santa Maria del Monte connect the old part of the town with the newer one. 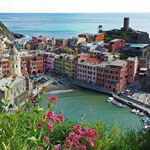 On either side of the stairs lie the two old quarters of San Giorgio and San Giacomo. 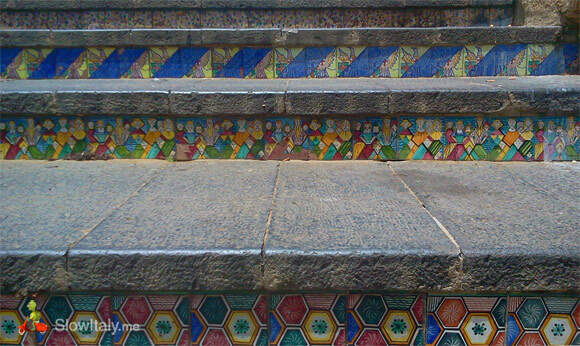 The stairs consist of 142 steps, covered with colorful tin-glazed ceramics. 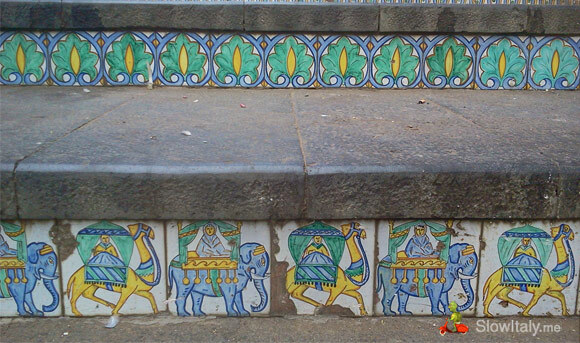 The lower steps show older ceramics, while the newer ones are located in the higher part of the stairs. 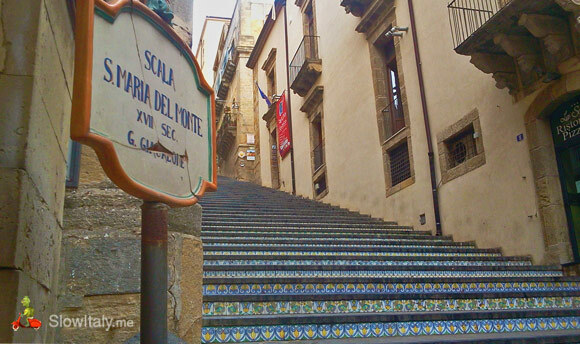 The stairs owe their name to the Mother Church of Santa Maria del Monte, former seat of the religious authority, which sits at the top of the stairs. 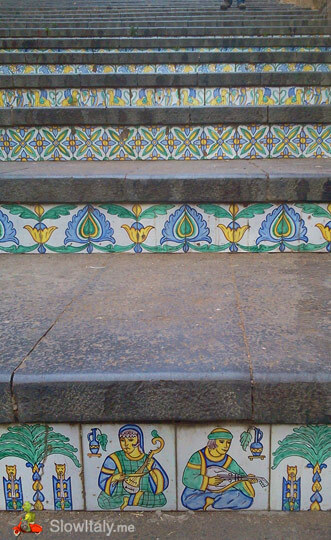 The motives of the stairs’ maiolica consistently alternate between a row of tiles with a floral or organic pattern, a row of geometric patterns and a row of figurative decorative patterns (especially in the lower half of the stairs). 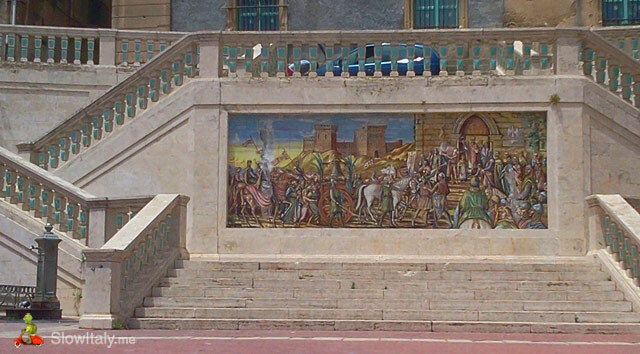 in the square of Santa Maria del Monte, atop the decorated staircase of Caltagirone. 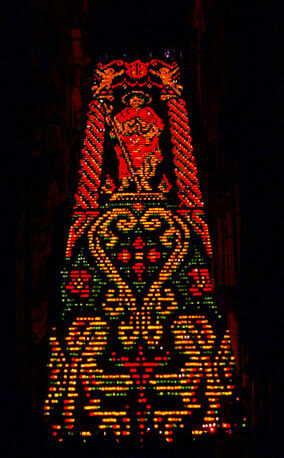 The stairs are celebrated three times a year; on July 24 and 25 they are lighted with 4000 canle lights at the occasion of the Feast of San Giacomo. 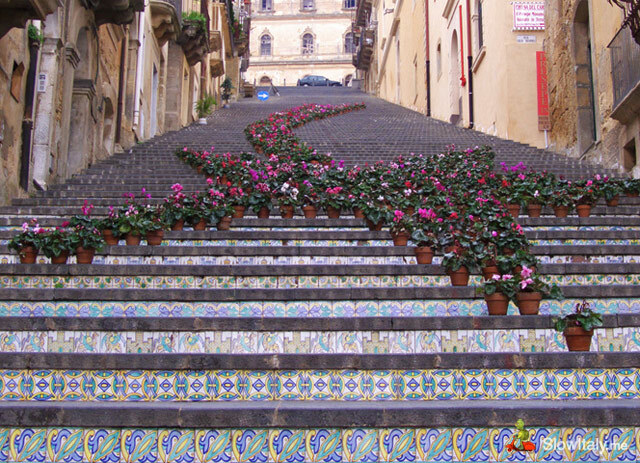 At Christmas the stairs are decorated with cyclamen and Christmas stars, while in May there is the Scala Infiorata in honor of the Madonna di Conadomini. 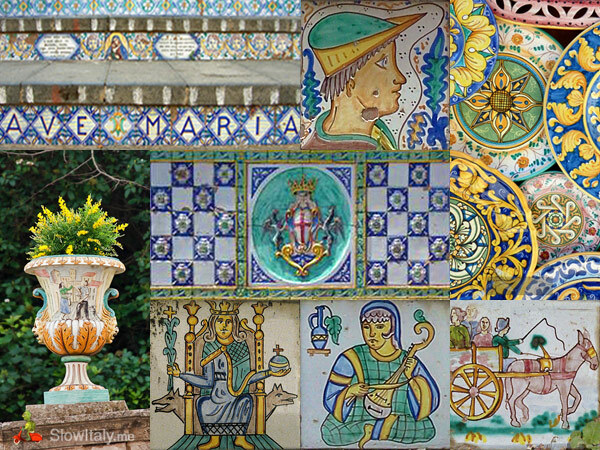 The ceramic tradition of Caltagirone is also visible in other parts of the historic center, in its numerous churches and noble palaces, the maiolica bridge of San Francesco, as well as in the Public garden, known by locals as the Villa Comunale. 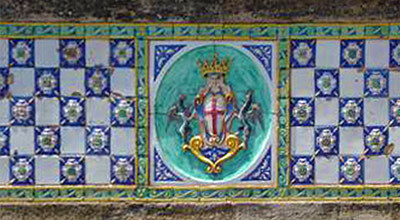 Detail of the ceramics on Ponte San Francesco with the coat of arms of Caltagirone. 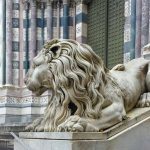 Particularly worth seeing are the splendid balcony of Casa Ventimiglia in Via Roma and Palazzo della Magnolia, in Via Luigi Sturzo. 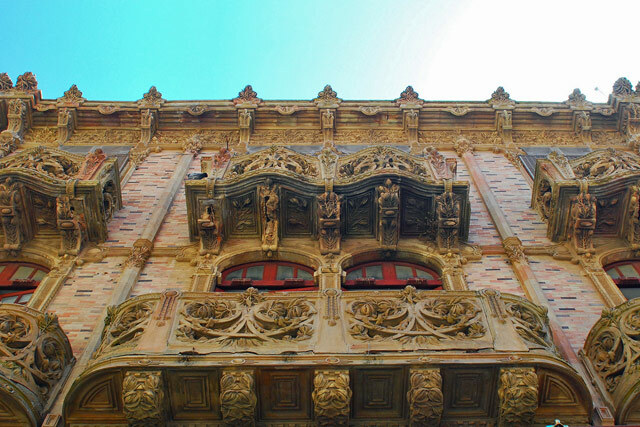 The latter is a beautiful palace in Liberty, neo-gothic and baroque styles with an opulent terracotta decoration by Enrico Vella. 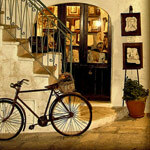 The eclectic style of the building is known locally as stile floreale. Palazzo della Magnolia, in Via Luigi Sturzo nr. 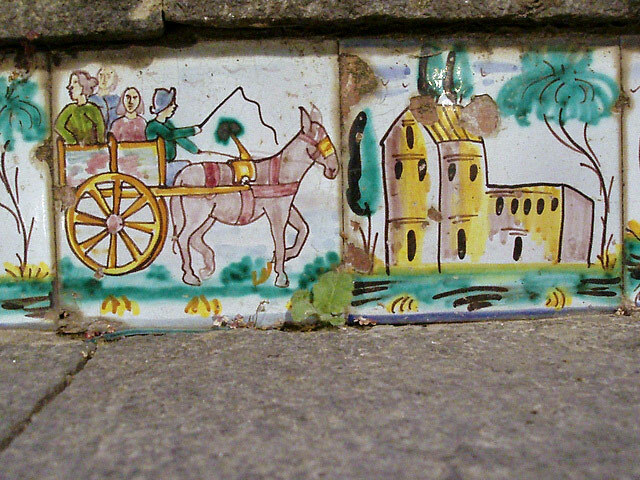 74, Caltagirone. 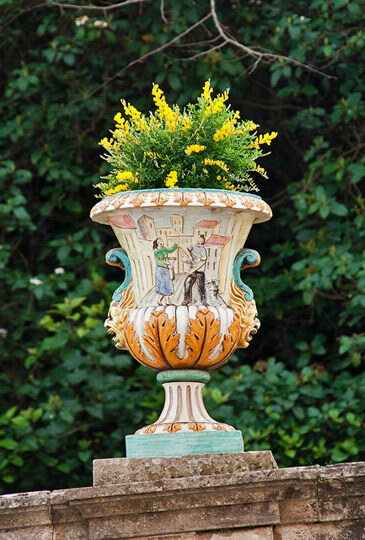 The palace in Liberty style shows an opulent terracotta decoration by Enrico Vella. Photo © Tiberio Frascari/Flickr. 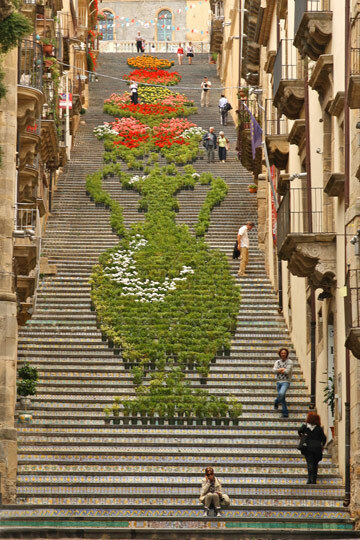 Public garden, Caltagirone. 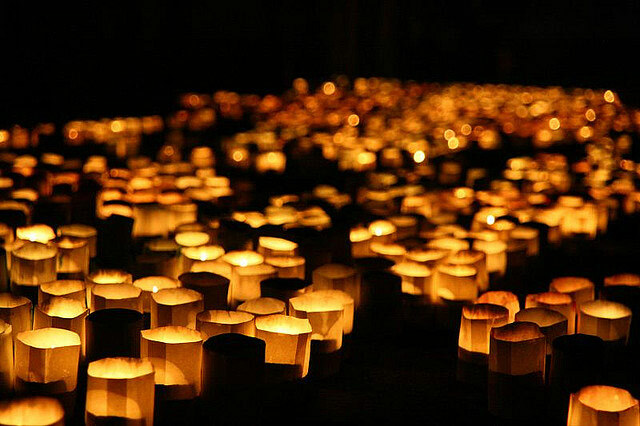 Photo © Antudo/Flickr. 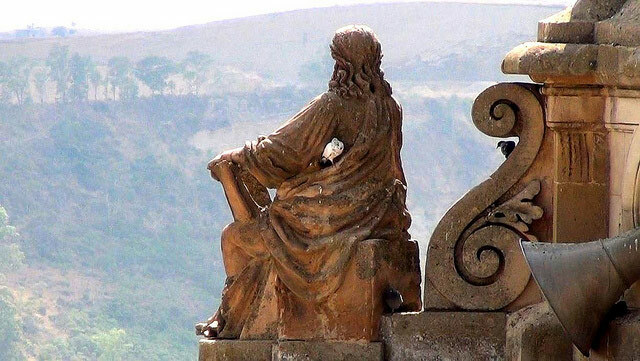 Church San Francesco d’Assisi, Caltagirone. 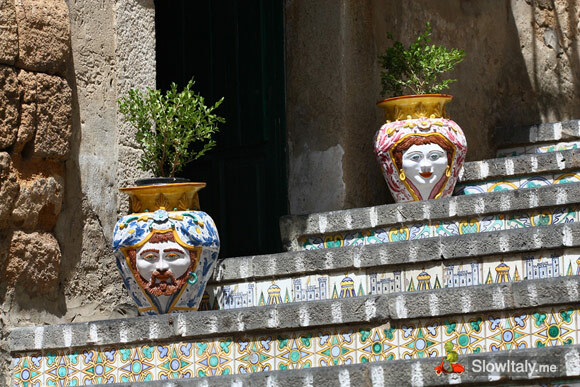 On the hillside of the large public garden, stands the Museo regionale della ceramica (Regional Ceramics Museum), which contains examples of Sicilian ceramic objects dating from prehistoric times to the present day. 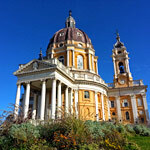 One enters the museum through the so-called Teatrino (Little Theater), a belvedere dating from 1792 with steps and its decorated balustrade. 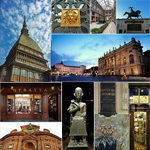 Among the pieces featured in the museum are the works of Giacomo Bongiovanni and Giuseppe Vaccaro, some of the most famous potters of Caltagirone, who specialized in the production of presepe (Christmas crib) statuettes. 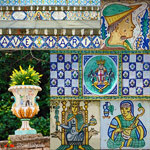 Today there are about 150 workshops still producing maiolica-objects. 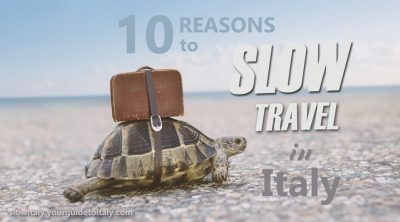 Some only specialize in the sale of tourist souvenirs, but others display examples of authentic, local hand-made maiolica ware, both new and antique. 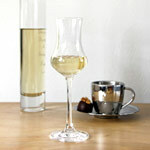 These hand-painted objects include tableware, bowls, vases, lamps and objects of various kinds. 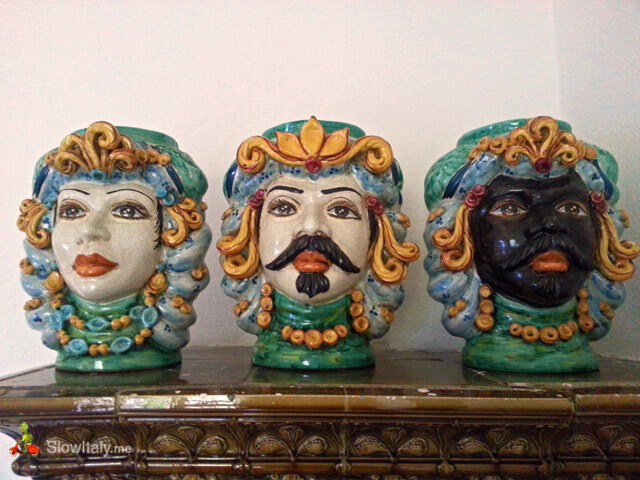 The most iconic objects, however, are the famous Heads of Caltagirone, which exist in different versions, representing three of the subsequent empires which ruled over Sicily, the Byzantines, the Arabs and Normans. 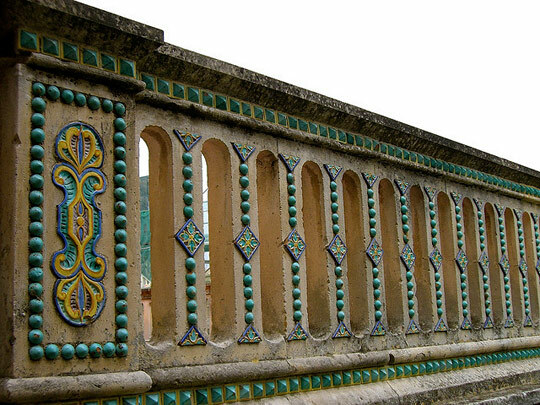 The ornamental patterns on a white background are similar to the antique Sicilian embroidery and fabric decoration, in violet, green, orange-yellow, cobalt blue colors, reminiscent of the bright Sicilian landscapes. 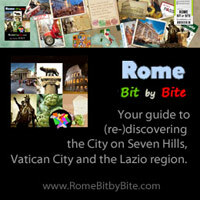 Photo credits: all photos © Slow Italy, except (from top to bottom): Church San Giacomo by amercader; Detail San Giacomo by Carlo Manni; Caltagirone stairs with flowers © Nina Osmers; Caltagirone vase by Bob Travis; Caltagirone balustrade by Francesco Piasentin; Caltagirone Ave Maria detail by tommy; Caltagirone stairs with head vases © giovanniluca/Fotolia.com; Caltagirone stairs details (2 photos) by t_y_l; Scala Illuminata by Giovanni; candle lights © LUISA CARLINO/maluni; Palazzo della Magnolia © Tiberio Frascari; Public garden © Antudo; Church San Francesco d’Assisi © ollirg/Fotolia.com; Ceramics patterns © Lifeinapixel/Fotolia.